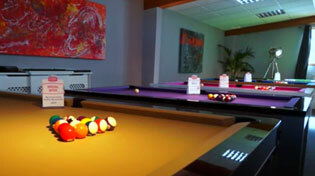 We offer a range of pool table furniture, in a number of finishes, for 6ft or 7ft pool dining tables. At Home Leisure Direct we offer a choice of pool room furniture intended for either home or public use. For environments such as office canteens, clubs, youth clubs, golf clubs or pubs, our range of furniture will suit your needs. Our beautiful benches are designed to complement our range of pool dining tables. Constructed from high quality MDF with a laminate finish, these benches will last and last, giving you a fantastic accompaniment to any pool dining table as well as a great place to sit. The benches we have on sale come from Sam, leading manufacturers of quality luxury pool tables, air hockey and associated equipment. We offer both 6ft and 7ft models, which work especially well when combined with those tables that feature dining tops, but will go well with any pool table. Choose from a great range of finishes and complete the look of your pool playing area. All of these finishes are available at no extra cost, so you can freely choose the style that will most closely match the environment in which you place your bench. Visit our Pool Table Showroom to look at a superb collection of pool table furniture and get some first hand advice on the right items for you. Our friendly staff are always on-hand to point you in the right direction for your perfect pool table. Choosing the accompaniments for your pool table is almost as important as the table itself, so we understand that you'll want to make the most informed decision possible. We have a special offer available on our Sam benches: if you buy two at the same time, the second comes at a discounted price. We understand that if you plan to use a pool table as a dining surface, benches are a great choice, and having one for each side is a great way to complete the look as well as providing extra functionality. If you have any questions about any of the furniture we sell, or about any of our other products, please give us a call on 0800 622 6464 or 01454 413636 and one of our friendly expert advisors will be happy to help you.